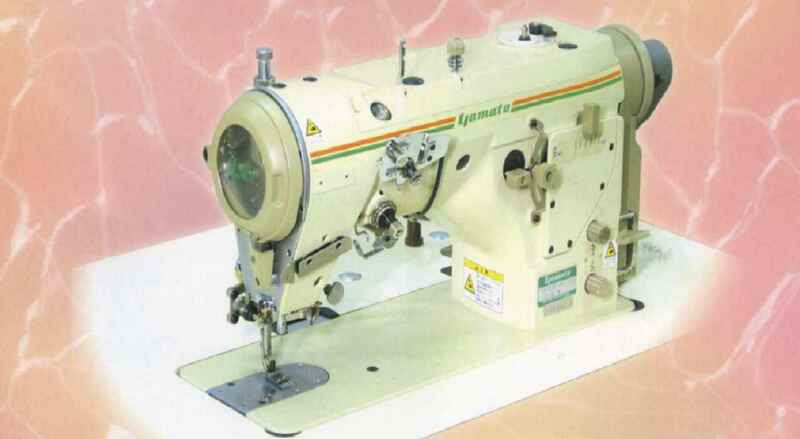 "LG's soft stitch is your best partner for making good quality intimate garments "
1 Needle Lock stitch Plain ZigZag Sewing machine for "Soft Stitch"
High stitch performance -achieving real "soft stitch"-Well balanced seam minimizes tunnel and puckering .even on soft and lightweight fabric and make your garments more beautiful to look at and more comfortable to wear. High machine performance - Reducing operators' fatigue in use. Yamato's precise manufacturing technology,based on long experience in high speed sewing machine production, enables smooth machine run.This feature helps stress-free operation for stable finishing quality. Automatic under thread trimmer,with "Anti-Bird's Nest" Function. "Please let me know the cost of the machine"